Sometimes you do all the right things and still end up with the short end of the stick. Glen Janisch, the human resource manager for Battle Creek’s RockTenn paper and packaging manufacturer stepped away from his desk to have open heart coronary bypass surgery under a pre-authorized short-term-disability leave and was terminated 11 days before his scheduled return to work date. We have discussed this type of conduct many times in this space. And now I am begging you, please complete the interactive reasonable accommodation cycle: take the request, document the mutually agreed upon accommodation, monitor the continued need for the accommodation, and never, ever change or remove an in-place accommodation without first revisiting the interactive process (see: https://reasonableaccommodation.com/blog/changing-or-removing-an-in-place-accommodation/). In this case RockTenn settled the disability discrimination suit tied to their behavior for $187,500 (EEOC v. RockTenn Co. & RockTenn Services, Inc., No. 1:14-cv-00973). The consent decree settling the suit, in addition to the award of monetary relief, prohibits any such discrimination in the future and requires RockTenn to post a notice about the lawsuit and employee rights under the ADA. In addition, RockTenn must train its human resources managers and Battle Creek plant managers on disability discrimination and reasonable accommodations under the ADA. My concern about this type of conduct is that it exposes RockTenn’s lack of understanding about the ADA and the Rehabilitation Act. A curious outside party may be driven to question whether or not the company tracks requests for reasonable accommodation or has trained and monitors physicians and therapists who perform employment testing on their behalf. For $187,500 one could do a lot of training! Don’t let lack of training land you in hot water. 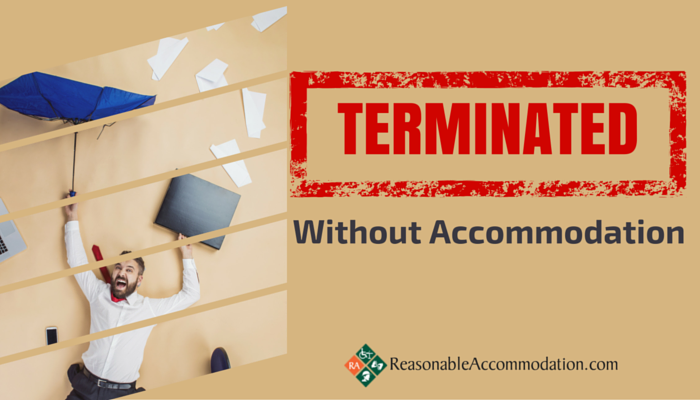 We offer many comprehensive, affordable and convenient online Title I ADA training courses such as our popular Reasonable Accommodation Workshop. Register today!